Stress happens. Sometimes it’s unavoidable, at times it’s unbearable. Sometimes it’s invisible. Because there’s often so much background stress in our lives as we juggle between staying on top of everything that needs to get done at work and all our commitments and expectations at home, it’s easy to forget how much stress is actually affecting us. 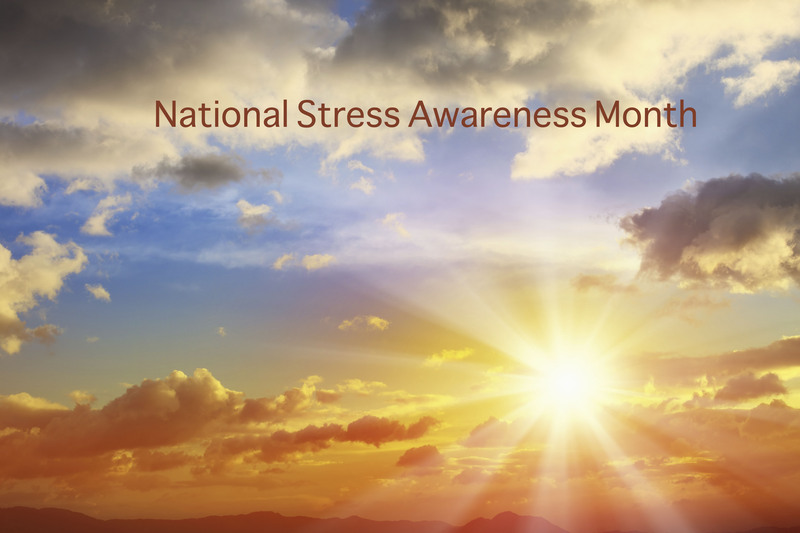 That’s why in April, which was National Stress Awareness Month, as a company we encouraged all our employees to take positive steps to relax, decompress and distress. Every little thing helps – whether it’s some quick stretching exercises, a small piece of dark chocoloate or a few squeezes of a anti-stress ball. We want to take the chance now to remind everyone about the importance of recognizing the toll stress can take on our lives and some of the things we can do to deal with it. We used to all believe the old saying, sticks and stones will break my bones, but words will never hurt me. We now know that’s not true. Words can and do hurt – including the ones we tell ourselves. In order to compensate for stress (the pressure we put ourselves under with our thoughts) our bodies go to into overdrive. That means increased levels of adrenaline and cortisol to help us power through. Although helpful for the short term, over the long term a body in overdrive will run out of gas. Long-term stress can lead to a wide range of physical symptoms – from headaches to stomach disorders to depression – and can even increase the risk of serious conditions like stroke and heart disease. Wouldn’t it be great if we could get rid of our stressors as easily as pushing the delete button on our keyboards? Although we can’t just erase stress we can mitigate the effect is has on our bodies – starting with a little ME time. Meditate – A lot of the time it’s a lot easier to say mediate then to actually do it – especially when we’re already going a million miles a minute with stress. When that’s the case a guided meditation CD can be just the answer. Take a walk – Physically remove yourself from your daily routine. A change of perspective, a change of environment is a great stress reliever. Read a book – Mentally remove yourself from your day. Go for a run – Not only is running great for keeping you physically fit, it’s also been shown to help improve your mood and self esteem. Eat some blueberries or a salad – Coffee might keep us revving throughout the day, but it won’t do anything to help us decrease our levels of stress. To do that we need something that will stabilize our blood sugar levels. That’s unprocessed whole foods like blueberries, leafy greens, avocados etc. Declutter – Sitting at a messy desk or facing a messy room can actually stress us out. A few minutes of clearing our physical space will go a long way towards clearing mental space – and stress. Spend time with a friend or loved one – Go ahead and vent. It’s good for you. Accept their words of comfort. That’s good for you too. With Smartphones and home computers the lines between our working lives and our home lives end up getting blurred. Sometimes it feels like we’re on call 24 hours a day. If you don’t have to answer work emails after hours then let them wait until you’re back at work. Same for work calls. Tempting as it is to answer every ring and beep as soon as we hear them, it’s more tempting to realize that by not answering we’re pushing the delete button on some of that invisible stress. For some ideas on How to Manage Workplace Stress check out these pointers from Melissa Heisler. What Separates Those Who Want Success From Those Who Achieve It?